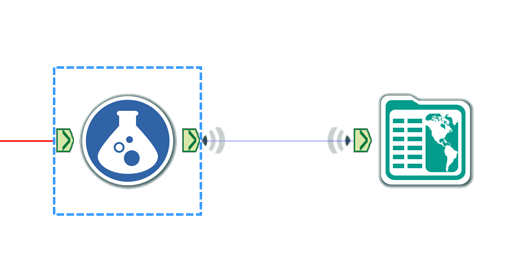 One of the new features in Alteryx 9.0 is the ability to make connections "wireless". A wireless connection is invisible on the canvas and is useful for making your modules look tidier. A wireless connection is indicated by the "radio waves" icon on the connection. 1 bar indicates 1 wireless connection; 2 bars indicate 2 wireless connection and 3 bars indicate 3 or more. Click on another tool or the canvas and the wireless connections disappear again. Right click on a connection and select "Make Connection Wireless". Connections now have a properties window! Just select a connection and it appears in the usual properties window just like a tool. This is where you can rename your connection; see the fields flowing through it and there is also a check-box for making it wireless. Right click on a tool and select "Make Incoming/Outgoing Connections Wireless"
From the new Navigation properties window (more on this in a minute) check the Wireless check-box. To get a wireless connection "wired" again you can use options 3 and 4. Another new feature of Alteryx 9.0 is the the Navigation Properties window we mentioned in method 3 above. This is a useful new feature even when you are not working with wireless connection. Doubling clicking on any of the tools in the list selects that tool and if that tool is off screen moves the screen so you can see the newly selected tool. As mentioned above you also have the ability here to make the connections wireless or wired. Having being using the new product for a few months these are my initial thoughts on using wireless connections and how I am using them currently. As sparingly as possible - A big strength of an Alteryx work flow is being able to see what it is doing from a "mile high view". The more wireless connections you have the harder this will be. When the two tools are far apart - A connection that goes off the screen is not very useful, so this is a potential candidate for a wireless connection. But don't forget that you can zoom out for an overview so maybe you do want that wired connection after all? When your connections are "tangled" - Sometimes if you have a lot of connections in one area it can be hard to see what goes where, this means from an overview you can't see what is going on, so keep the important ones wired and make the others wireless to clear the view. I would love to hear if people agree/disagree with the above points or have any more they would add. I welcome your thoughts in the comments section below. 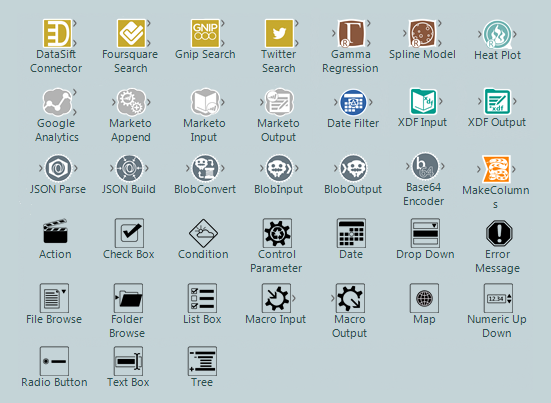 This release sees a massive 38 new tools! Helped in no small part by the new Analytic App authoring process. The App and Macro Authoring process has seen a complete overhaul this release and is one of my favorite new features. The process is no longer hidden away on multiple properties tabs, but built up on the canvas using the new "Interface" tools. Look out for more on this topic in a future blog post. The download tool has had a lot of new features added this release and now should let you interface with any web API out there. This is how the four new social media tools (which are in fact macros) work. So if you want to see an example of the new download functionality in action, open up one of the social media macros and take a look. 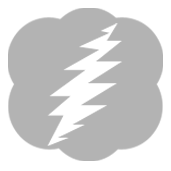 The private cloud version of Alteryx has seen a huge update this release. Now you can get the functionality of the Alteryx public gallery on your own private server inside your firewall. A fantastic way to deliver Analytic Applications and insights to your wider business. That is a very quick round up of just some of the new features. Look out for some more detailed blog posts on specific features over the coming weeks.